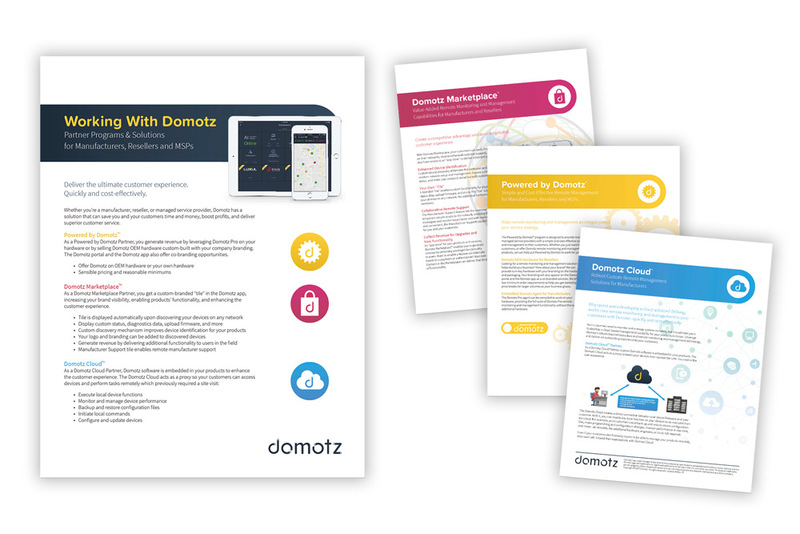 This product literature for the Domotz remote network monitoring and management system is fundamentally sales literature, but is also educational. 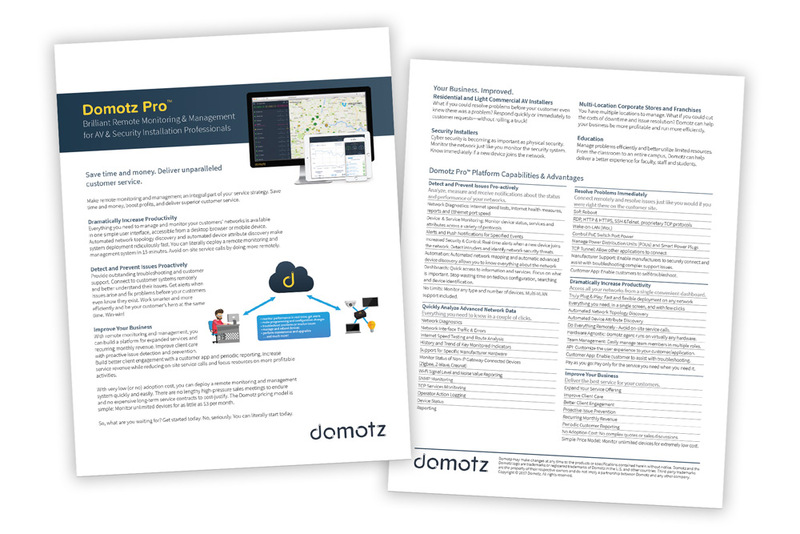 While primarily offering information about various sales programs, it also informed prospects on platform capabilities and specifications. The documents were primarily emailed PDF attachments, but could also be printed and assembled into an information packet.